​​The fire came at a result of a blown tire and occurred roughly 15 miles outside of Montgomery, Alabama. A school spokesperson stated that there were no injuries, even though players were forced to evacuate the bus. The ​Huskies were forced to wait on the side of the road at 1:30 a.m. so that another bus could take the team to the airport for its flight back to Seattle. Dickerson and his teammates inspiringly made fun out of the unfortunate, near-tragic situation. Kudos to Dickerson and his teammates for remaining optimistic and looking at the world as a glass half full, not empty. 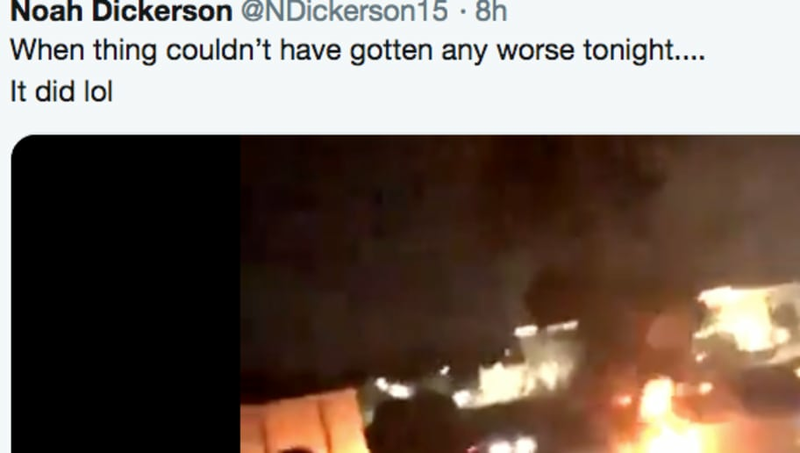 Just hours after a blowout loss, their team buses catch on fire, and their demeanor remains sky-high. That's the beauty of a healthy locker room.